Armor Blitz is a pc browser game where you assemble a squad of anime style tank girls from the WWII era and lead them to battle. 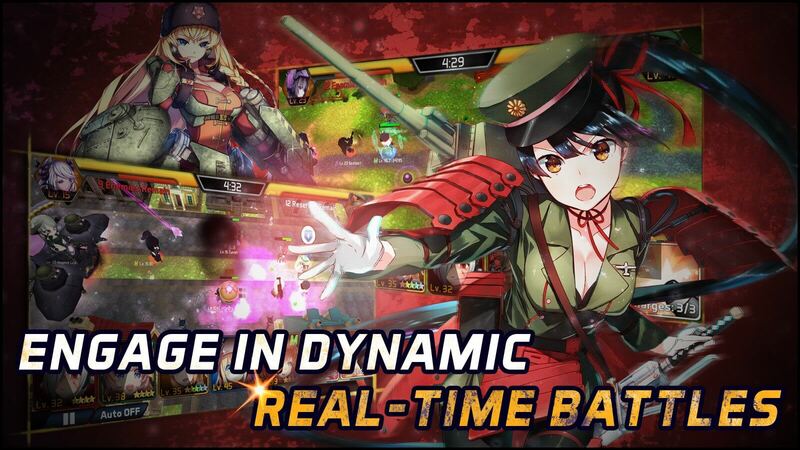 The gameplay consists of a mixture of card collection and real time tug-of-war lane battling. Armed with a small force of tanks, you must fight back against the invading force of the Corruption. As the commanding officer, it is up to you to give the orders and find the source of the mysterious invasion. Grow your army, manage your tanks, conquer new territory and deploy wisely! Armor Blitz is full of bosses, challenging enemies, and unique encounters. The hand-crafted story, and the diverse set of characters will grow on you as your journey begins. It’s your move, Commander.